I was listening to some comfort music the other day. The Beatles 1 album. The song “Hello, Goodbye” came on and inserted itself into my prevailing mood, which was a gentle feeling of pending loss and disconnection. In my coaching practice I gain access to many of my clients through a company called BetterUp. BetterUp sees their purpose as a business to democratize access to coaching. They believe every professional deserves executive level coaching, and they pursue this by making coaching affordable and accessible to organizations, which in turn results in companies engaging BetterUp to provide coaching to large cohorts of people. Cohorts typically have a program start and end date, so individual members (what BetterUp calls clients) tend to roll off the program at roughly the same time. I’ve been working with a group of members for the past six months and this week is end of program for our work together. These eight individuals are amazing people to work with, each with unique goals and aspirations, each with unique personal strengths to apply to them. Coaching creates deep relationships between coach and client, founded on rapport and trust sometimes making them hard to step away from. As such, each final meeting has bittersweet mix of celebrating success and saying goodbye, and it is that dynamic Paul McCartney and the rest of the Beatles had resonating within me, particularly the lyric “I don’t know why you say goodbye, I say hello”. I find myself wanting to find some way to stay in touch with the goodness that comes from authentic relationships while respecting the ending at the same time. I guess in some way, our feelings associated with saying goodbye are dependent on circumstances. Am I saying goodbye on my own initiative or is it imposed on me by others? For example, if I resign my job for another it is quite different from if I’m laid off or otherwise dismissed. I also think of a friend’s son who works in the Royal Canadian Mounted Police. He can be reassigned to another community hundreds of kilometers away at a moment’s notice, pulling him away from many relationships. Was it an expected change or an unexpected change? 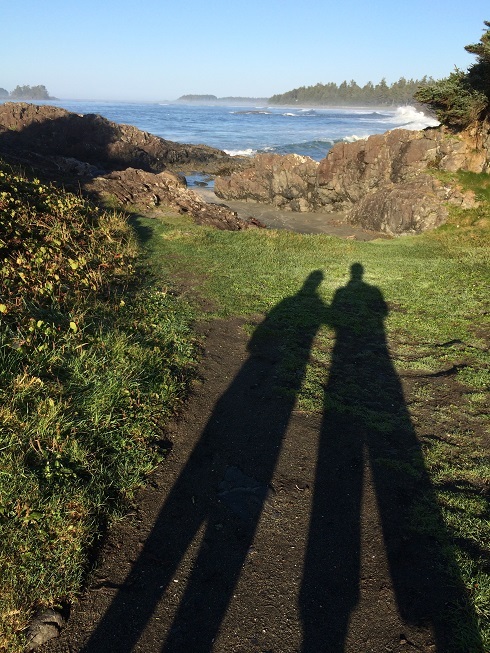 In my coaching example, I knew at the beginning of our time together that it would come to an end six months down the road, so it allowed us the time to celebrate our relationship and plan for how we may stay connected down the road. On the flip side, if our spouse says to us one day that they want a divorce, it would certainly evoke a much different emotional reaction to someone saying goodbye. So what are some approaches that make goodbyes easier to handle? Here are four thoughts that come to mind for me. Know that connections once made are never broken. To me, there is nothing more important than this realization. Once we have been connected to another human being in any significant way, that connection can never be broken. We may feel a distance in that connection, or even feel like it has been broken because the immediacy or intimacy of the connection is no longer there but that person lives on in our memories and our feelings. I haven’t spoken to my old coach K.P. for a couple of years, but her support and teaching from years ago remain fondly with me. Not resonating? Think of a less pleasant relationship you had in the past. How easy is it to bring those more distressing feelings to mind? Our connection to distress can be lasting, but it also can be a source of learning and growth as we explore forgiveness and release. So, back to saying goodbye to someone valued … we aren’t losing the person … just our ability to see each other easily and regularly. Recognize the goodness in the goodbye. Celebrate what has been great about the relationship! Certainly as we wrapped up our coaching relationships, my clients and I took at least one session to reflect back on what had been so good about our time together. The clients took their time to inventory their key learnings and “aha” moments. I took the opportunity to reflect on what I appreciated most about each client, and then shared that with them. Doing this really helped us, or at least me, cement the connection with each of them into my emotional memory as something I can draw on in the future. Even when the circumstances associated with the goodbye might not be ideal, we can certainly take time to find the lessons and the blessings in the occurrence. I just attended the funeral of a friend’s mother a few weeks back, and while there was deep sadness in her passing at 92, there was also a lot of love and reflection on the lives she had impacted so profoundly. Say hello to a new type of relationship. Knowing that the connection is never broken allows us to move on from goodbye as a final event to planning for how we want to nurture our connection in the future. Sometimes that is a fairly passive approach, where we simply take some quiet time to reflect on what we appreciate most about that connection. My parents have both been gone for many years, yet on each of their birthdays (and on random days when my eyes fall on their picture in my office) I sit by myself and feel them in the room with me, remembering what I valued most about them. Other times, we may be more deliberate and active about maintaining connection. Exchanging contact details, connecting on social media platforms, scheduling phone calls, etc. are all completely feasible as we move on to the next chapter of life. To paraphrase the Beatles, I know while I now say goodbye, I will soon say hello to someone new. As a coach this becomes almost immediately obvious to me as I started sessions with new clients. I am certain that at the end of those new relationships I will have the same bittersweet feelings … relationships and connections I would not have had an opportunity to experience if I hadn’t said goodbye and moved on in life. Same thing when we leave a job and miss our colleagues. As we enter into a new role, there will be new relationships ready to form. In Calgary, many goodbyes from jobs were forced and new jobs were hard to come by, and for many the new relationships came in the form of support groups of people experiencing the same thing. We will likely never find a true replacement when we lose someone close to us, but we may find that void being filled in different ways by new friends, companions, partners, etc. I think of a friend of my wife who lost her soul mate husband several years back and still mourns his void, but has created deep connections with a group of soulful women and with her grandchildren in the space she has been left with. The bottom line for me seems to be to see past the negative connotations of the word “goodbye” to the more positive feelings associated with “hello”. Our lives are so much richer when we look forward to new experiences and ways of contributing to new relationships. How about you? How do you feel about the word “goodbye”? What’s your favorite way of moving on from goodbyes? As you think of this, have a listen to the Beatles “Hello, Goodbye” as fuel for your reflection! Lovely post Ian — and particularly poignant as we pack up this house to move to a new one – so many fond memories to say ‘goodbye’ to. I love “god be with ye” as the root of the word. That in itself indicates you are never alone. And I agree. A hello is required! Yes good-byes can be difficult and leave a huge void, whether it a good-bye to people, places or career. The positive thing can be filling the void with equally rewarding people and experiences; yet still keep enough space inside for the memories. From a long way off, I am grateful now of some space in this void to fill with worthwhile meaningful projects. Life was too busy for that before. Thanks for your thoughts on this. What’s interesting now that we are down the road a bit on this process is that the “hellos” are becoming much more prominent than the good byes!